Global trade and traffic, many of Gresham’s contemporaries would say, had altered sixteenth-century England beyond recognition, from its food, fashion, and language, to the look and feel of its cities and neighbourhoods. How did its subjects respond to this transformation? Nandini Das is Professor of English Literature at the University of Liverpool. She is an expert on Renaissance literature and cultural history, with a special emphasis on travel and cross-cultural encounters between Europe and Asia in the sixteenth and seventeenth centuries. 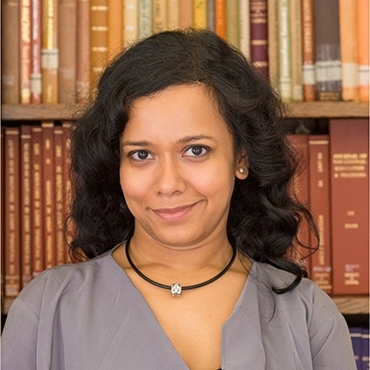 Professor Das has published widely in the fields of travel writing, transculturality, and early modern literary studies.